DeKalb, IL. 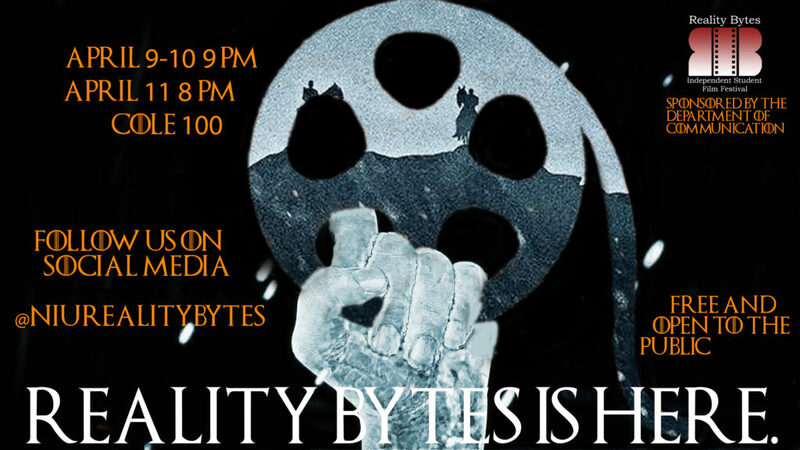 –The​ ​NIU Department of Communication​ is bringing three nights of student films to Cole Hall’s Jameson Auditorium with the 18th installment ofthe Reality Bytes Independent Student Film Festival, beginning at 9 p.m. Tuesday, April 9. The events are free and open to the public. Films screenings are also scheduled for Wednesday, April 10, beginning at 9 p.m.
Producer Darryl Silver will be a special guest speaker at 8 p.m Thursday, April 11, the final night of the festival. Since graduating from NIU in 1989, Silver has worked as executive producer/creator on multiple television shows, including “Mama Medium,” “The Apprentice,” and “Big Medicine.” Darryl will talk about his post-graduation career decisions and explain his road map to success in the entertainment industry, from DeKalb to L.A. The Reality Bytes film festival was established in 2001 by Laura Vazquez, NIU professor of media production and theory. She created the festival to give film students the opportunity to competitively screen their work, and she serves as director of the event. “We continue to receive very well-made films from around the globe, and we are pleased to share them with our audiences. These young men and women filmmakers deal with topics as varied as child brides in Bangladesh, power and privilege in Switzerland and DACA in the U.S.,” Vazquez said. Of the 60 submissions, 17 short student films have been chosen to be screened at this year’s festival, which has seen an increased number of entries from high school students. The chosen films were selected based on creative storytelling and strong technical composition, and consist of three categories: Narrative Short, Documentary Short and High School Short. One film from each category will be presented with a “Best in Show” award, as decided by a panel of judges. The winners will be announced on the final night of the festival and receive a cash prize. Door prizes donated from local businesses will be given to raffle winners in the audience each night of the festival. Each audience members receives a free raffle ticket upon entry. More information about the festival is available via the festival website, or on Instagram,​ ​Twitter​and​ ​Facebook​, or by contacting the Reality Bytes team at niurealitybytes@gmail.com.